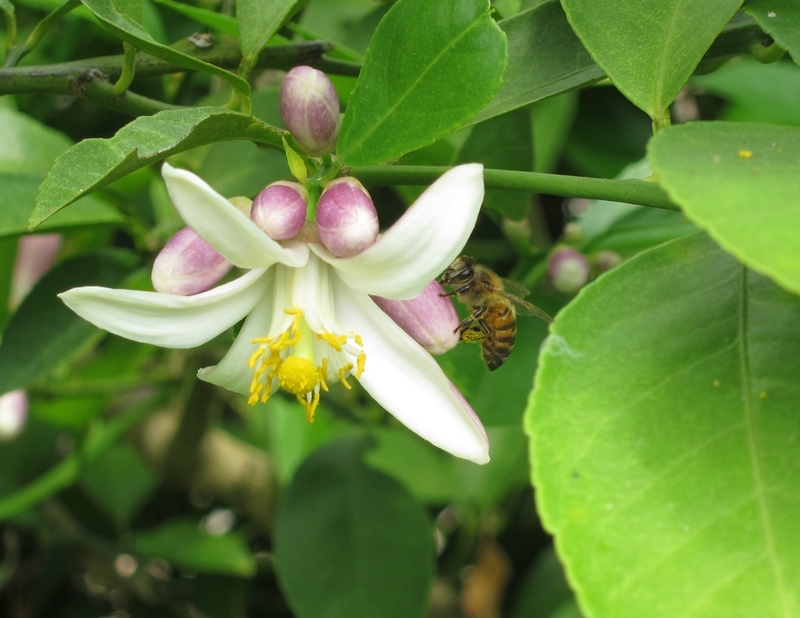 All I can think of when I see the Meyer lemon tree in my backyard buzzing with bees is “Man, do I wish I can taste some of whatever honey these little bugs are going to be making”. I love how prolific this tree is and use its fruit whenever I can, but my favorite time is now. 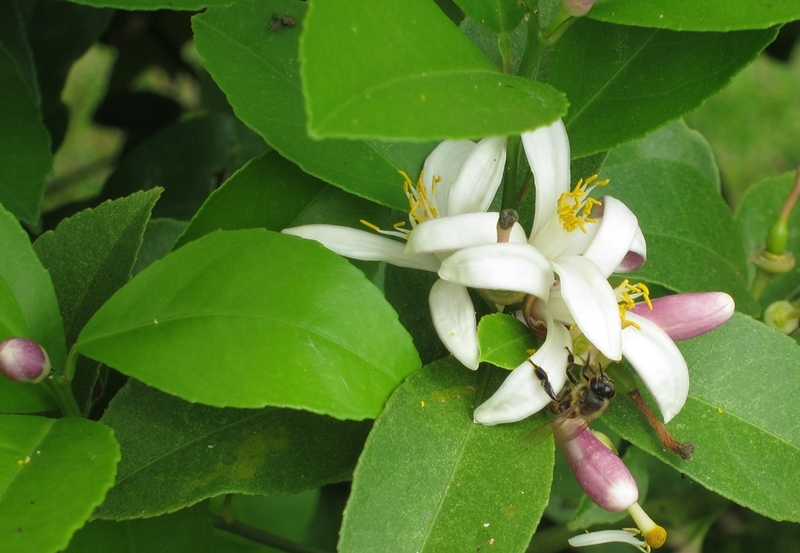 Even if I do live in Houston, Texas where seasons mean little, the flowers and bees in our Meyer lemon tree seem to declare that spring is here. It’s not just about spring though, it’s about nostalgia. The crazy amazing aroma that fills the air from those flowers takes me straight back to Lebanon, its citrus groves and my grandmother making orange flower water. Watching those bees do their work with my 4-year old is really a pleasure. Incidentally Barbara Massaad has a recent post about making orange flower water in Lebanon, it’s a very good read.